Just a quick note to let you know I haven't deserted you all. We have some family stuff happening here at the moment that's taking up my time. 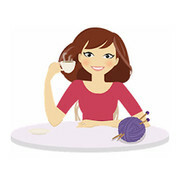 I'm knitting & crocheting when I get a spare minute, so when I do post I'll have some things to show you. Fingers crossed things will calm down soon.